A round-up of good eats and dining news from Singapore in April 2019. This month, casual concepts take flight. Chef Rishi Naleendra has converted his one-Michelin-starred modern Australian restaurant Cheek By Jowl into a bistro as he prepares to start another fine-dining restaurant later this year. The Les Amis Group may be best associated with two-starred French fine-dining restaurant Les Amis, but it is starting four casual concepts this year to mark its 25th anniversary. Japanese restaurant company Keisuke Group welcomes its 19th outlet, which centres on sumiyaki (char-grilled food). After a month-long closure, gourmet food purveyor Culina will open at its new location at COMO Dempsey in mid April. The 13,000 sq ft epicurean market and bistro, which is fashioned after street markets in Europe, houses a gourmet market, delicatessen, bakery, a wine bar, an experiential kitchen, a French-style bistro, as well as a flower shop run by the famed Grandiflora from Sydney. Block 15, Dempsey Hill. One-Michelin-starred Cheek By Jowl in Boon Tat Street has made way for its casual younger sibling Cheek Bistro, which offers the same style of modern Australian fare but in a homier, laid-back environment. The brainchild of chef Rishi Naleendra and his wife Manuela Toniolo, the bistro is helmed by a young kitchen kitchen team led by head chef Jay Teo and restaurant manager Muhammad Muhaimen, both of whom have worked with Naleendra since Cheek By Jowl’s beginnings. The menu comprises small and large sharing plates with familiar flavours and unconventional accents: creamy burrata and heirloom tomatoes are given a piquant punch with fermented green chilli, while crisp, fluffy waffles are topped with rich chicken liver pate. For desserts, go for the goat’s cheese parfait dusted with dehydrated white chocolate and frozen strawberry crumbs. Watch the video above as the young head chef introduces the new concept. 21 Boon Tat Street. Home-grown food and beverage company Les Amis Group marks its 25th anniversary by adding four more restaurants to its stable of close to 30 eateries in Singapore. 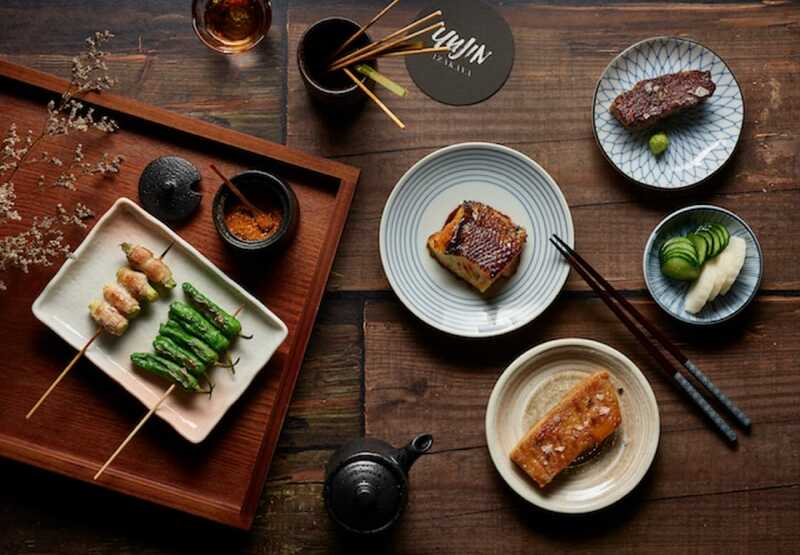 It opened Yujin Izakaya on 15 March — the same day that its flagship Les Amis Restaurant started in 1994. The 58-seat modern izakaya restaurant in 56 Zion Road offers yakitori skewers, grilled meat and vegetables and small bites. 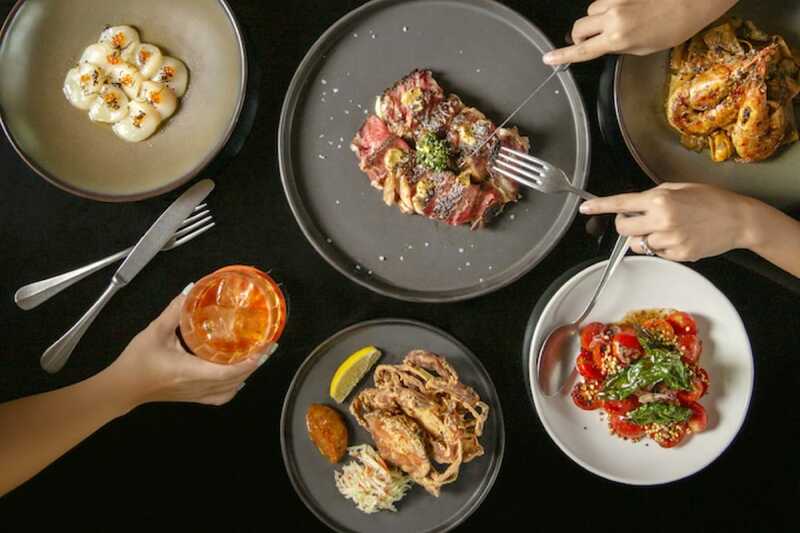 Signature dishes include the truffle chawanmushi, grilled yakitori such as eringi (king oyster mushroom), tsukune (meatball), tebasaki (wing) and tontoro (Iberico pork jowl), and the Inaniwa udon with prawn tempura. Yujin Izakaya is helmed by chef Freddie Lee, who was part of the opening team of Les Amis in 1994. 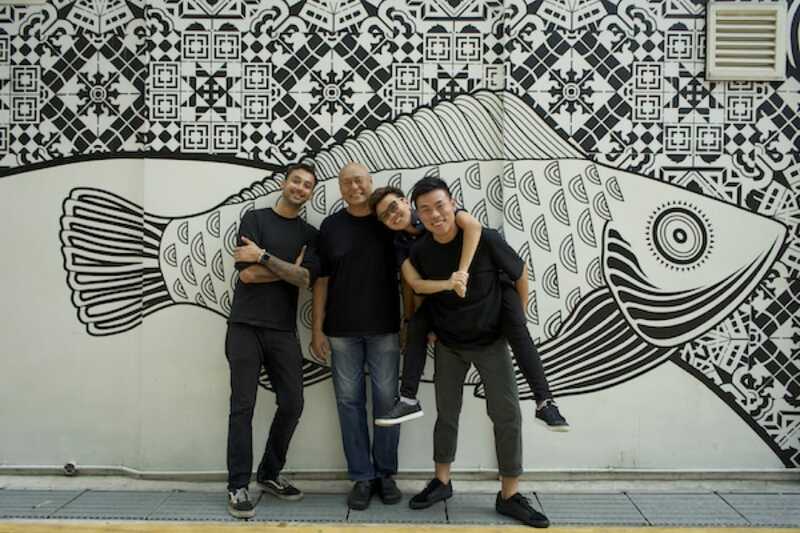 The group will also open its first Peranakan restaurant Indigo Blue Kitchen, which is named after the quintessential blue butterfly pea flower, in June. Led by 29-year-old chef Chong Jun Xiang, the 74-seat restaurant will serve time-honoured Peranakan classics with modern updates. Two other restaurants will open at Shaw Centre in June. They are Uncle Wok, which serves Asian dishes such as dry hor fun. Lastly, there is Kasumo which is led by chef Lisa Tang and front-of-house manager Kuah Chew Shian. The 16-seat restaurant shines the spotlight on bringing out the best of fruit and vegetables that are overstocked and in odd shapes and sizes. Singaporean chef Jonathan Koh may have cut his teeth cooking savoury dishes at fine-dining restaurants like Olivia Cassivelaun Fancourt in The Arts House and Boathouse at the heritage Fullerton Waterboat House, but he is indulging his sweet tooth to open Voyage Patisserie to serve beautiful plated desserts at affordable prices. Situated in Outram Road, Voyage Patisserie is a chic cafe with pastries and cakes on display, alongside a menu of fine-dining standard plated desserts like the Apple Mille-Feuille made from layers of thinly sliced Granny Smith apple served with apple genoise, caramel cream and homemade Tahitian vanilla ice cream. Koh’s deft hand at desserts is also showcased in the Sphere Rouge of homemade rose cream and raspberry sorbet encased in a glossy red chocolate sphere. The sweetest creation on offer has to be the Cynthia, a petite gateau featuring rose Chantilly cream, lychee bits, raspberry compote and Genoise sponge, shaped daintily like a rose and named after his girlfriend. 249 Outram Road. 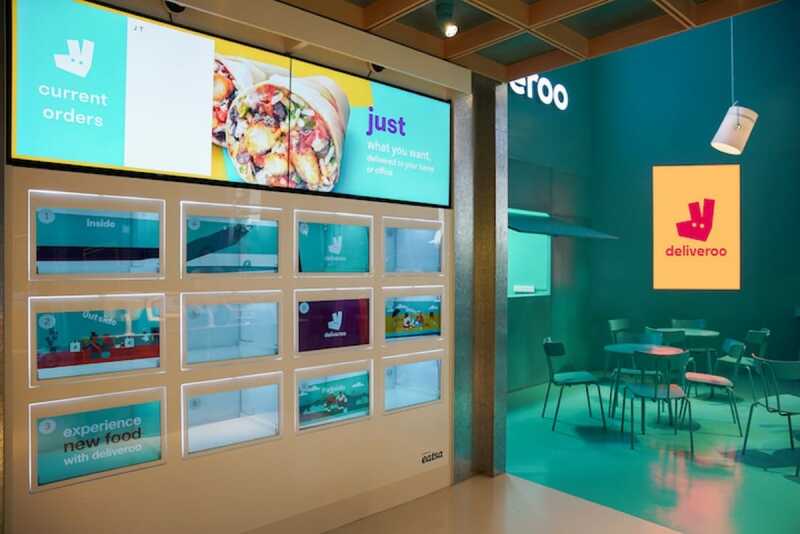 Food delivery giant Deliveroo has opened Deliveroo Food Market, its third and largest Editions site in Singapore. Located at the Alice@Mediapolis office building, the 40-seat dine-in space features 11 food concepts run by seven restaurants. A new feature in its Editions spaces is its fully automated ordering experience that is powered by San Francisco-based eatsa. Diners can simply walk in and place their orders at the self-service kiosks. The food is then prepared in one of the 10 kitchens on-site. Once the food is ready, the food will be manually placed in one of the 12 digital cubbies. The order with the name of diner will be flashed across a digital status board for diners to pick up their orders in the designated cubby. Besides eating in, diners can also enjoy a cuppa from a coffee joint. Diners can choose to dine in or take away their meals. Of the 11 concepts, four are new to the market and are only available through the Deliveroo Editions platform. They are Lucky Souvlaki by Greek restaurant Blu Kouzina, EZO Hokkaido Eats by Omakase Burger, and Chop Shop and Delismith, both by PotLuck Club. Deliveroo also plans to open more Editions spaces soon. 29 Media Circle, 01-02/03. 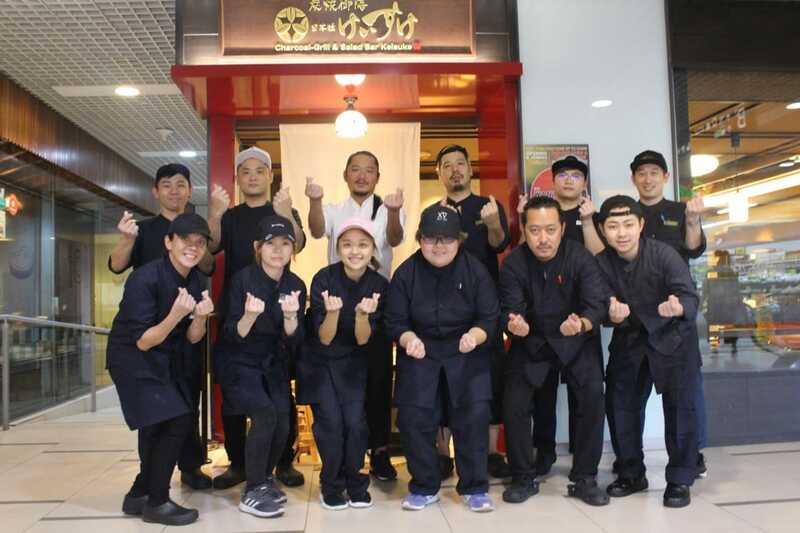 After a chain of popular ramen stores and a teppanyaki hamburg concept, the highly successful Keisuke Group has opened its 19th outlet at Paya Lebar Square. This time, the cuisine is focused on Japanese sumiyaki, where meats are slow-grilled over binchotan charcoal. Fish is the protein of choice with traditional grilled fish dishes like Charcoal Grilled Dried Atka Mackerel, Miso Marinated Halibut and Teriyaki Yellowtail, though chicken is available as well. Each set (from $9.90 for grilled chicken) comes with miso soup, onsen egg, a bowl of fluffy Japanese rice and access to an all-you-can-eat salad bar with over 30 dishes. While you wait for your fish to be grilled upon order, graze on a wide selection of colourful salads, soba noodles, dandan noodles, pickled vegetables and even desserts if you so choose. 60 Paya Lebar Road, #B1-16 Paya Lebar Square. Dining enclave Keong Saik Road is getting a second wind with the recent opening of KeSa House, a 60-room “flexible-living” concept that has communal spaces for like-minded guests to mingle. Taking over a stretch of 10 shophouses that used to be occupied by boutique hotel Naumi Liora, the bustling space at 55 Keong Saik Road also houses six restaurants and bars. Restaurants include Olivia Restaurant & Lounge, which features Barcelona-inspired cuisine by chef Alain Devahive, who used to helm Catalunya in Singapore and Hong Kong. Stalwart French restaurant Mag’s Wine Kitchen is back with a larger space, serving modern French favourites and a wine and sake list of more than 150 labels. Other eateries include Pasta Bar, The Old Man, an Ernest Hemingway-themed cocktail bar from Hong Kong, The Guild restaurant by Hong Kong’s Young Master Brewery and The Affogato Lounge X KeSa Lobby, which serves alcohol-infused affogatos, cocktails and ice cream. Down the street, Gaston Burgundy Bistro & Wine Bar (25 Keong Saik Road) is bringing a slice of the Burgundy countryside to diners with its line-up of 350 wines (45% of them are from Burgundy) and dishes that are representative of the east-central region of France. Signature dishes include Boeuf Bourguignon, which is simmered with red wine sauce and served with creamy mashed potatoes, Oeufs en Meurette (poached eggs in red wine sauce) and Croquettes Bourguignonnes, which are crispy breaded balls of Epoisses cheese and ham. Thai luxury property developer Sansiri has made its debut multi-concept lifestyle venture in Singapore. Called Siri House, the 3,000 sq ft space houses a sales gallery, retail and art spaces and a 48-seat restaurant Jam at Siri House that serves an eclectic East-Meets-West cuisine crafted by chef Ming Tan of Park Bench Deli. The crowd-favourite here is the hand-made Pappardelle, which is coated in an intensely rich bisque made with prawn heads and lobster shells and topped with grilled tiger prawns. Tan’s creative flair comes out in full force with small plates such as Chicken In A Biscuit. Inspired by the popular snack, the moreish chicken fat cookie is topped with garlic and ginger-spiked cream cheese and topped with crispy chicken skin. Spice lovers will like the Spicy Potatoes, a deep-fried Hasselback spud topped with mala mayonnaise, beef lardons and Parmesan cheese. Block 8D Dempsey Hill #01-02. 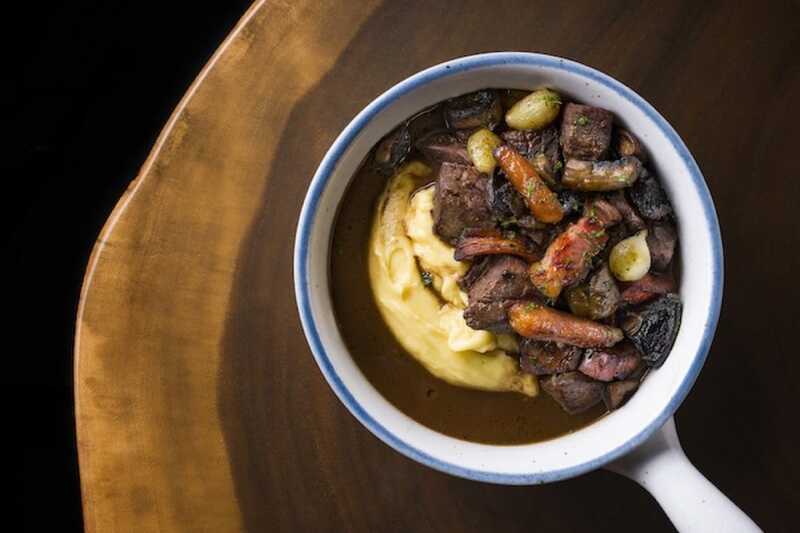 It’s no secret that Singaporeans love supper and from 25 April to the end of June, supper is elevated at Le Binchotan’s sophomore Supper Series. From 9.30-11.30pm on Fridays and Saturdays, chef Jeremmy Chiam will be offering a big plate and a small plate every night from his supper menu featuring shiok eats like umami-laden Prawn Noodle Soup with Hakata-style ramen, luxurious Uni Congee and Hokkien Mee alongside small plates of Beef Short Rib Dumplings, Kicap Manis Chicken Satay and Ebi Crackers. On three special weekends (25-27 April, 9-11 May and 6-8 June), Chiam will be sharing the kitchen with guest chefs ArChan Chan, Sam Chablani and Damian D’Silva to reimagine familiar Singapore flavours and offering two large plates and two small plates for a set price of $35++, after which you can add on individual dishes a la carte. Wash it all down with an event exclusive beer by LeVeL33, brewed and bottled in Singapore. 115 Amoy St, #01-04.